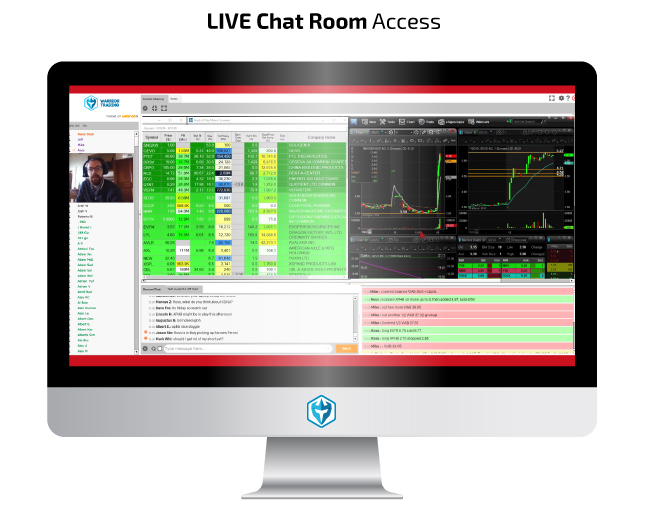 Trade with our community of traders, in an online, interactive trading environment. 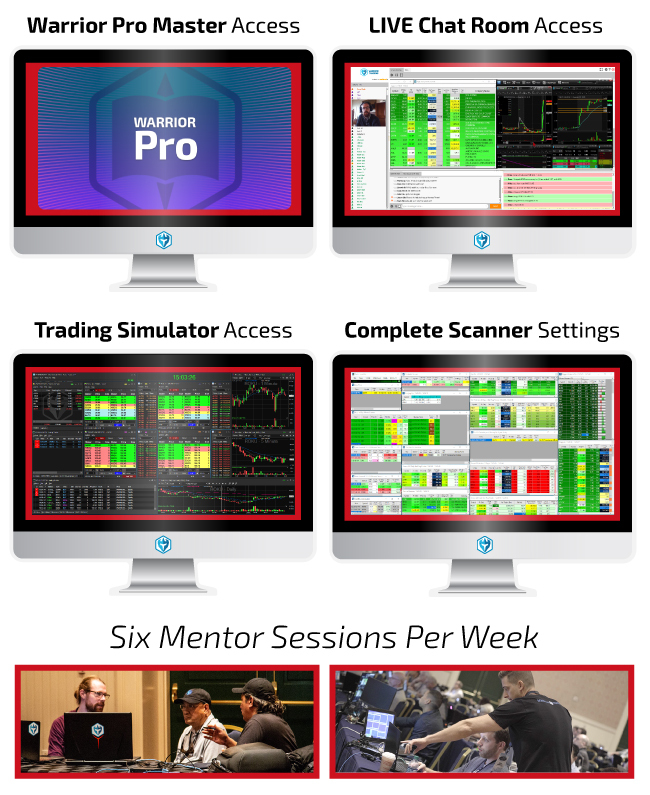 The Warrior Pro program gives access to the full set of Warrior Trading classes, our live trading chat room, full set of scanner settings, trading simulator, and 6-times-weekly group mentor sessions. Warrior Pro classes are made up of our Warrior Starter Course, Original Day Trading Course for Small Cap Stocks, Large Cap Day Trading Course, Swing Trading Course, Options Swing Trading Course, and Cryptocurrency Trading Course. All of our courses are digitally recorded and streamed 24/7 from our site, so that students can study when it works for them and their personal schedules. The live mentor sessions that are a part of the WarriorPRO Bundle run every Monday at 8am EST, Tuesday at 3pm EST, Wednesday at 6am & 3pm EST, Thursday and Friday at 3pm EST. These mentor sessions are also recorded so that students who cannot attend the live sessions can still participate, and all students can rewatch sessions afterwards. The Warrior Pro is a 90 day program. Members receive access to everything in the bundle (courses, chat room, mentoring sessions, simulator, and updated scanner settings) for 90 days unless they extend or renew their subscription. When members first sign up, they are given an offer to extend their access to a full year by adding on 9 months for $997 or 2 monthly payments of $497. Members who do not upgrade to 1 year of access are auto-enrolled in a subscription to renew access which begins 90 days after initial purchase (if you do not upgrade to the year), which can be cancelled at any time. CH 2: What’s an Investment Vehicle? Watch over our mentor’s shoulders as we trade live on Screen Share. View Charts, Scanners and Level 2.